This article by Joel Kalvesmaki highlights the history of the Orthodox Church’s Old Testament canon based on the Septuagint (LXX) and contrasts it to the Protestant Old Testament canon based on the Hebrew (Masoretic) text. 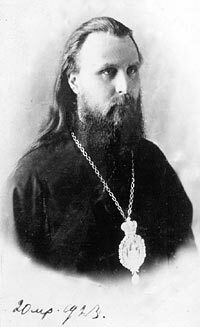 Editor’s Note: The following article was written in 1914,when St. Hilarion was an archimandrite and a professor of the Imperial Moscow Spiritual Academy. Its message is especially pertinent for our times, when there is widespread confusion and ignorance about the true nature of Christ’s Church and about the right approach to Holy Scripture. It can provide invaluable help to Orthodox Christians in understanding their Faith more deeply, and in defending and giving an account of it when confronted with heterodox—especially Protestant—claims. 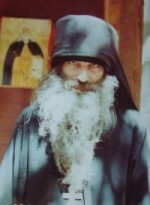 At the same time, it can serve as a wake-up call to Protestants, who separate the Bible from the Church, as well as to those Orthodox Christian scholars who have been unduly influenced by the modern ”higher criticism” of the Bible which originated within German Protestantism—the fallacies of which are profoundly demonstrated by our modern-day Orthodox apologist, St. Hilarion. In the Church there are no stone tablets with letters inscribed by a Divine finger. The Church has the Holy Scriptures, but He Who established the Church wrote nothing. . . . The following is an excerpt taken From Not of This World: The Life and Teachings of Fr. Seraphim Rose, pp. 781-82. This article on A Reader’s Guide to Orthodox Icons begins with a very brief history about the snakes, but it is particularly interesting for its discussion on the symbolism of these serpents in Orthodoxy. In a tiny Greek village in the south of Kefallonia, a miracle occurs every year after the feast of the Transfiguration (Aug 6). Around the bell-tower of the chapel at Markopoulo, small venomous snakes appear. These snakes crawl around the church, and upon the icons of the Mother of God in an act of apparent veneration. The snakes remain in the confines of the chapel, docile throughout, until the feast of the Dormition (Aug 15), when they disperse and become almost impossible . . . 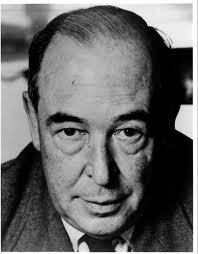 The following is an excerpt from C. S. Lewis’ Introduction to On the Incarnation by St. Athanasius the Great. The holy Apostle Paul has told each of us to “pray without ceasing” (1 Thess. 5:17). Most of us know that we are far from achieving this goal: to pray without ceasing, we must first at least pray frequently; and to pray frequently most of us must first pray regularly according to some rule. The Church gives us many helpful rules of prayer. Most prayer books include useful sets of morning and evening prayers, prayers at mealtimes, and so on. In the life of Saint Dimitri of Rostov, as told in St. Nicolai Velimirovic’s Prologue from Ochrid (October 28), we can read that the saint was in the salvific habit of chanting the hymn “O Theotokos and Virgin, Rejoice” every hour when the clock struck. Allow me to repeat the words: ‘Keep your mind in hell, and despair not’. 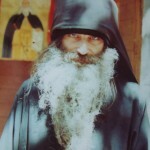 Father Sophrony, when he heard these words for the first time, he felt that they were divine words, not only for St. Silouan and his own salvation, but for an entire generation, for all the lack of hope that takes shape in a world so full of despair, as he knew it then, after the First World War. I’d like to add these words also: when God says ‘do not despair’, I’ve seen many strain themselves – that they were already so stressed, as in what should I do to not despair so that I don’t make God angry? No, brethren, it’s not about that, God does not forbid lack of hope, but he tells us that…we don’t need to lose hope! We don’t need to despair! These instructions on the appropriate time to make the Sign of the Cross during the Nicene Creed come from the Moscow Typicon, and it is Fr. Job’s request that this become standard practice for our parish. The sign of the cross is to be made at 1) I believe in One God, the Father Almighty, 2) and in One Lord, Jesus Christ, the Son of God, 3) and in the Holy Spirit, the Lord, the Giver of Life, and 4) and the life of the age to come. (+) I believe in one God, the Father Almighty, Maker of heaven and earth, and of all things visible and invisible. (+) And in one Lord Jesus Christ, the Son of God, the only begotten, begotten of the Father before all ages; Light of Light, true God of true God; begotten, not made, of one essence with the Father, by whom all things were made. Who, for us men for our salvation, came down from heaven, and was incarnate by the Holy Spirit of the Virgin Mary, and became man; and was crucified also for us under Pontius Pilate; and suffered and was buried; and the third day He rose again, according to the Scriptures; and ascended into heaven, and sits on the right hand of the Father; and He shall come again, with glory, to judge the living and the dead; whose kingdom shall have no end. (+) And in the Holy Spirit, the Lord and Giver of Life; who proceeds from the Father; who with the Father and the Son together is worshipped and glorified; who spoke by the prophets. (+) and the life of the age to come. Amen. In his earthly ministry, St. John Chrysostom was well known as a superb homilist and for his efforts received the well-deserved title Golden-mouth. In his sermons, St. John was especially concerned for the spiritual and moral development of his flock and, as a result, he was especially interested in teaching them how to pray. As trees cannot live without water, so man’s soul cannot live without prayerful contact with God, he taught. If you deprive yourself of prayer, you will do as though you had taken a fish out of water: as life is water for a fish, so is prayer for you. Bread occupies a special place in our lives. It symbolizes all food as well as the labor necessary to obtain it. As God once told Adam, “In the sweat of thy face shalt thou eat bread” (Genesis 3:19).